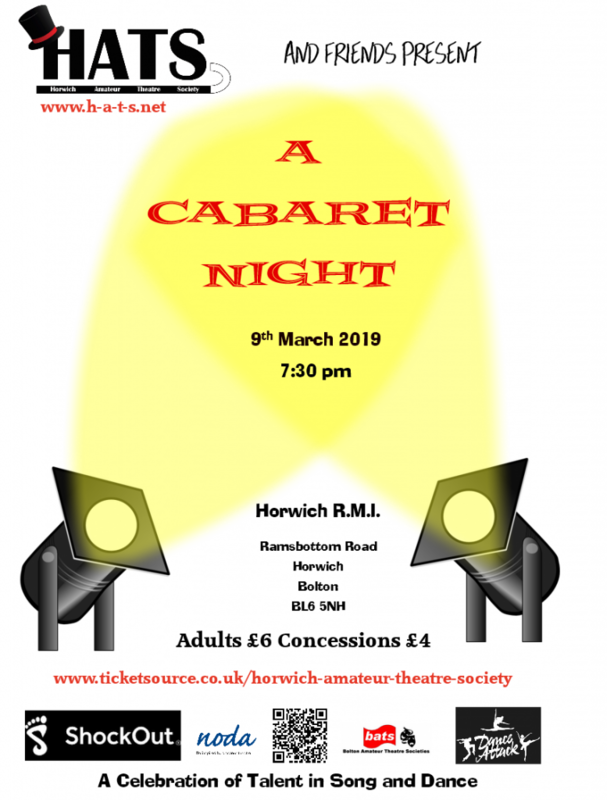 Horwich Amateur Theatre Society presents our Cabaret Night for 2019. The night will be filled with song and dance from numerous shows and features several HATS members including the cast of HATS’ April 2019 production of The Wedding Singer, performances from Dance Attack , Chorley, Shockout, Manchester and other special guests. Curtain up is 7:30 pm at Horwich RMI, Ramsbottom Road, Horwich, Bolton, BL6 5LH. Come and join us for a fun night to celebrate the talent in Horwich and the surrounding areas and help raise funds for HATS future productions.